Some people may consider ping pong to be a casual sport, where you just hit the ball, and that’s it. However, the truth is far from that. To be successful in this field, or at least a decent player, you will need to invest time, money and effort into it. Naturally, I don’t want you to spend a whole day looking for equipment online. That time can be spent in a better way. Let’s say that you have started practicing this sport only recently. This means that you would need the best ping pong paddle for beginners, but you don’t know how to find one. Let me help, and guide you through the world of precision and speed. This article will help you understand better how to choose your equipment. Professionals can have a bit of trouble as well when it comes to this questions, and this is why I have decided to cover absolutely everything there is to know about this sport. Naturally, since the paddle is the most important item on the list, most of this text will deal with different aspects of paddles. 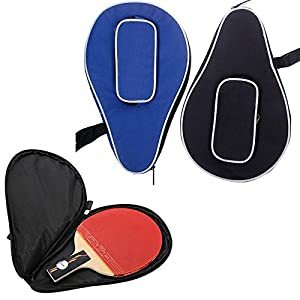 3 How to Select Ping Pong Paddle? 4 What to watch out for when buying a ping pong paddle? So, let’s get straight to business. Below are five recommendations which I consider to be worthy of your attention. Of course, to make things easier, I have divided them into categories. If you got the basics of table tennis (or ping pong, if you prefer), you have probably had one or more paddles. When the time comes, you will want your first decent-looking one, and since I don’t approve low quality, here’s a top-notch product. Thunderline had made a fantastic paddle. 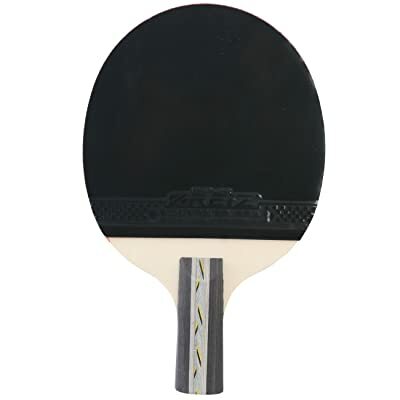 With 7-layered blade and ITTF approved rubber, it will surely catch your attention. However, it is not just a fancy-looking paddle, since it has amazing features with 90-88-86 (spin, speed, control) which are well-suited for an intermediate level of playing. The overall feeling is right, it fits the hand right, and the rubber is made with the intention of having better spin suitable for defensive players. However, the compromise is made, and speed isn’t left behind, so I can freely say that this paddle fits almost every player. Layers are glued correctly, and I haven’t noticed any space or bad joints. The sponge is 2 mm thick, which is a bit more than I prefer, but nothing drastic. On the other hand, it increased the weight of the paddle, which gave me more speed in return. To sweeten the deal, the manufacturer had added a protective case, which is a nice touch. Why not carrying it around like a pro, when there is a possibility of doing so? In case that you don’t prefer my personal best paddle, here’s an alternative. It differs slightly from Thunderline’s model, but still, I believe that you will be satisfied. When it comes to materials, expect a bit of extravagance here. Graphite and carbon are included in creating this paddle, so it is slightly lighter than my top choice. However, it didn’t suit me as well, but this could be due to my preference. Ultimately, these are trivial differences, but these materials have another drawback. Since graphite is quite expensive, it lifted the price, which is natural. Although I don’t like to take care of every penny, a good deal is what appeals me the most. Don’t get me wrong, this is still great paddle, but I feel that if the price were at least 5$ lower, it would be much better. The blade is nicely made, and there were no air pockets or other errors. What delighted me was the possibility of replacing the rubber. Since I play a lot of ping pong, my paddle tends to have damaged rubber rather soon, so this was a huge advantage in my book. On the other hand, I got the feeling that the rubber torn much faster than it should. Again, the manufacturer included a nicely-looking protective case. The quality of the material is apparent here as well, but the design was a bit too much for my taste. That blue dragon is somehow too transparent, so I have used my case instead. In case that you are reading this article hoping to find the best ping pong paddle for beginners, this one is for you. When it comes to good choice for beginners, there are several guidelines which need to be followed. First of all, not all people will continue playing table tennis, so it isn’t necessary to break the bank to buy a paddle. Keeping things as cheap as possible is good advice, but still, take quality into account. The second one is quality. Only after you have decided that ping pong is your favorite sport, you can continue with a bit more professional-oriented paddles. Ultimately, having a bat with fewer features can make you a better player. Luckily, this paddle covers these two requirements. Anser had made a rather decent paddle, and it doesn’t cost much. The material used is wood and rubber, and lack of finish and the absence of polished look are apparent. However, when you are a beginner, this doesn’t play a crucial role. The sponge is slightly thicker than I would like, so I got that “silenced” feel, which somewhat reduced the speed I used to. Of course, this will actually benefit the beginners, because once you switch to paddle intended for speed, you will get more of it. The seven-layered blade is somewhat standard these days, but what drew my intention is the length of the handle. You can choose between shorter and longer one. This is especially important for those who are just starting, and since many kids love to play, this choice will mean a lot. When it comes to a good deal, people tend to get carried away. Especially when the matter of price is on the table, so let’s deal with this, shall we? Most of the time, the lower the price, the better the bargain, right? Wrong. You should always look into what you are getting for the asked price. Pansonite had made quite an exciting bargain, and this is my choice for the cheapest (but still a good choice). Regarding material, I was surprised to see that coloring of the handle looks better than expected. I don’t prefer those who look ugly, and luckily, this aspect is top-notch. Speaking of grip, it happened to me that the layers were a bit unaligned, but just a few strokes with sandpaper fixed it. All of the seven layers were tightly glued, and the rubber is fixed and firm. Under the rubber, there isn’t too much sponge, so it won’t soak up the force, leading to higher speed achieved, while maintaining needed control and spin at proper levels. 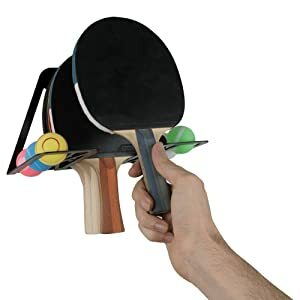 This will mainly be useful for people who want to upgrade their cheap ping pong paddles but aren’t ready yet to go pro. Many of product I have listed here will include the case for storing, but Pansonite also included a DVD with a short video about improving your game, which was a fine move. There aren’t many such deals, and this is what differs it from the rest of the competition. As for the weight, it is slightly heavier, so if you are used to this approach, Peak will be perfect for you. Also, with two different rubber surfaces, you can expect improvement in gaining more experience in switching from forehand to backhand better. Simply put, you will improve this area of the game. As I said, Stiga ping pong paddles are worldwide famous, and they often stand for quality and reliability. This is the case with the Titan as well. The paddle which will fit beginners for sure, but it is often seen in the hands of professionals. By using Crystal technology to harden layers of the blade, Stiga got more response from this paddle, which resulted in a higher speed of the ball. Also, by reducing the number of layers to five, this aspect is further improved. Now, the manufacturer could just slap any kind of rubber to the blade and call it “speed intended”. Luckily, Stiga doesn’t do things this way. By carefully choosing the material for rubber, they managed to maintain control and spin at a high level. All of those are what makes this manufacturer so famous. Naturally, when it comes to the quality, this paddle is crème de la crème and doesn’t save on anything. The handle is made of several layers of wood which is concave and composite, which means that the weight is adequately distributed, thus improving precision. 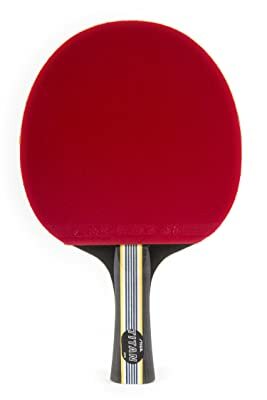 The price is high, there is no arguing about that, but keep in mind that professional ping pong paddles cost a bit more than those intended for beginners. Still, the quality of production completely justifies the price, so if you are king Arthur looking for his Excalibur, search no more. There are many things which are available for every ping pong player. In fact, there are so many additional products that you will find yourself reading ping pong tables review in no time if you wander off from the subject. Luckily, I’m here to help, and here are some of the most important accessories which will make your life easier, but are not essential for you to play ping pong. Despite having a broad selection of the additional equipment, not all are required to play table tennis. This is one of the reasons why this sport is so popular. 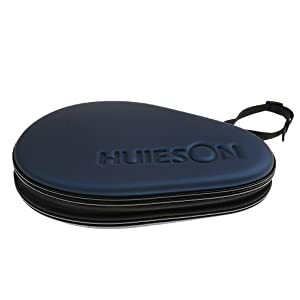 Now, one of the essential pieces of your kit are surely paddle cases. So why is it important to have those, and what are benefits of having one? In case that there are no ping pong tables in your vicinity (neighbors, friends), you will have to visit sports center, right? You can’t put on sneakers and tracksuit at home, and those had to be carried in a bag and to change in the center. Now, on the way to the center, sneakers will be in the same bag with your paddle. This is a one-way ticket to disaster. Although you may be careful, due to the movement made during walking, thick treads of the sneakers can damage the rubber of the paddle. Moreover, it can scratch or cause other kinds of damage to the handle. On the other hand, if you do have a tennis table in your basement, why would you risk damaging your racquet? Wherever you leave it, there are high chances that something will fall on it, or the paddle itself will hit the ground. In this case, breaking or separating of the layers of wood are all possible, and you must do everything possible to prevent it. Let’s start with the most straightforward offer on the market, shall we? In case that you are not a professional player and you don’t care much about how your bag will look like, this one is perfect for you. 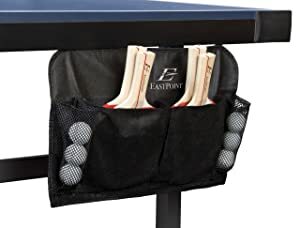 This model from Ownsig has room for one paddle and also sports outer pocket for three ping pong balls. The downside of this item is that you can’t choose a color, which is ridiculous if you ask me, but still, the extremely low price puts it in range of beginner-friendly. As for the material, it is made of nylon fabric, which is resistant to rain and water, so even if you use it to keep the moist from the basement away from your paddle, it will do the trick. We’re still in the range of beginner-level cases. This is another one which is worthy of your attention if you don’t want to splash the cash while shopping. There is nothing exclusive, exquisite or fabulous. Just a lovely bag to carry your paddle and protect it from dust and moisture. Sometimes, less is actually more. 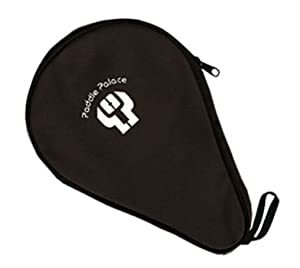 When it comes to material, Paddle Palace opted for nylon, which is tight and thick so that it will cover and protect rather well. The outer side sports additional pocket for holding three ping pong balls, which is a nice touch. Regarding zippers, they are of adequate quality, and although they won’t blow your mind away, it will hold rather well. Regarding price, this model is still affordable. What separates it from the cheapest choice on the list is the possibility to pick a color. Whether is this good or bad, is up to you to decide. Simply put, if you want your equipment to be toned, pick whichever color suits you. Hitting the middle between cheap and good product is often hard. It can happen that the manufacturer will overprice the product, which will result in wasting money, or they can make it so bad that even low price won’t justify it. Luckily, I have found one which is well balanced, so even though you will have to spend just a bit more, the quality is far over the price. 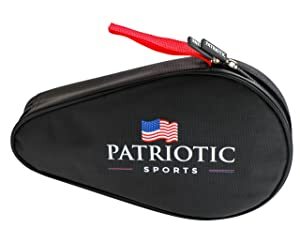 Patriotic Sports had made a paddle bag which is suitable for two racquets. This is great since you can pack one or two paddles, depending on whether you play solo or with someone. When it comes to material, this is where this bag simply shines. Heavy duty zippers look and feel robust and sturdy, so there will be no tearing or breaking. Moreover, the bag is semi-firm, so it will protect the paddle from falling and being pressed by bulky items. On top of everything, there are two fasteners which will hold paddles in place and prevent them from hitting one another. With amateur league left behind, you will need pro or semi-pro equipment as well. The first stop for you should be this item from Dovewill. Made with the intention of the ultimate protection, it won’t break the bank at the same time. What differs this case from others on this list is its hardiness and robust looks. Made with a hard outer shell which delivers top-notch protection from falling or other damage, it also sports soft cushions on the inside, which will provide gentle support. When it comes to the price, it is very low, considering how good this product is. 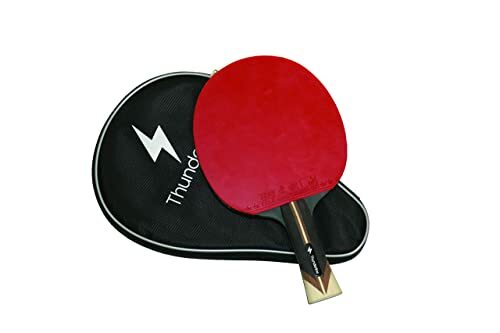 Evidently, the enormous competition is forcing the manufacturers to lower the price and to maintain the quality, to keep the title of the best ping pong paddle brand. So, people, we have hit the ceiling. This is it, the big league. The best of the best. This bag made by Killerspin is not just reliable, it is one of the best looking and stylish ones available. So, if you can afford it, you will be more than happy. 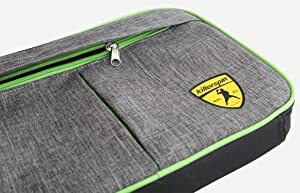 By combining gray and green color Killerspin had managed to create the sleek and stylish appearance, so this bag doesn’t look like a standard one. It resembles fancy handbag and people won’t know what is inside. Simply put, this is a Rolls Royce of paddle bags. When it comes to the price, it is higher, no arguing about that. But when you take into consideration the overall appearance and the quality, it is not that bad. You only need to ask yourself whether you want it or not. Now, since we dealt with the situation when you don’t have a table, and have to go to the sports center, what to do if you are lucky enough to have one in your basement? Clutter is made before you say “ping-pong”, and to avoid it, proper organization is required. One of the best ways to keep things clean and in its place is to use table tennis paddle holders. These are made in several varieties, and each is good in its own way. Now, why would you even bother with buying one? Let’s say that you have a cat. They are known to go everywhere and sniff and knock over everything that seems unusual. Oh, look, a ping pong paddle! Tap, it hits the ground, broken. This is merely an example of what may happen, and of course, other advantages are present. If paddles are left in proper position and tucked away, their serving hours will be prolonged. Moreover, it will give a sense of professionalism and can be a small nudge toward playing table tennis more seriously. In other words, it can contribute to preventing you from giving up. If you think that mounting an organizer case is difficult, you would be wrong. In most cases, they are almost trivial to mount, and because of that, I have started with the most affordable and accessible one. 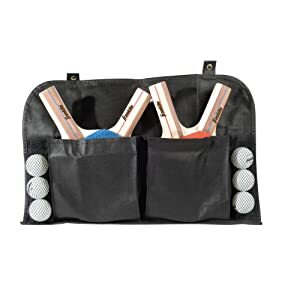 This product from Puredrop looks like an ordinary organizer which can be found in every bathroom. Now, what sets it apart is the quality of material and interesting approach. It has a Velcro strip which is attached to the side of the table. The case is then attached to the strip, which makes things more comfortable when it comes to maintenance. 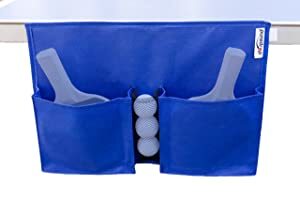 There are two pockets for paddles and a mesh in the middle for storing balls. They look reliable and sturdy, so if you don’t want to break the bank while shopping, this is an excellent recommendation for you. Now, I know what you are thinking. This is not just a paddle holder. 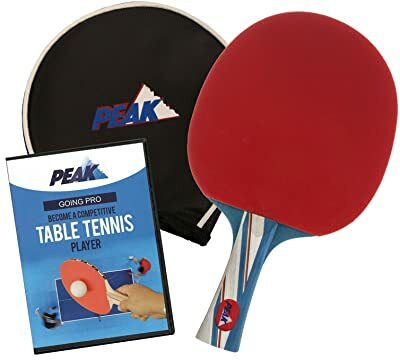 There is everything needed to play table tennis in this package, along with the organizer, so technically, it can be listed here. The most apparent thing about this item is the price. It is ridiculously low, so don’t expect groundbreaking quality. Of course, this doesn’t mean that it is terrible, but that it is intended for beginners. Paddles are made of 5-layered wood and represent a basic model. The good side of this set is that it has four paddles fit into a good-looking organizer, which can be ideal for the whole family. 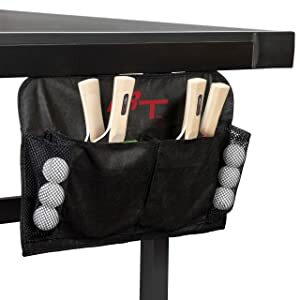 However, to attach this organizer, you will need hooks, which can be good, since you don’t need to hang it at the table. If you have a couple of screws, you can attach it to the wall. Another set on this list shows that ping pong is becoming a sport for the whole family. This model as well is intended to be hanged at the side of the table, or on the wall, if you have the skills. The price is similar to the previous one, and they are pretty even when it comes to quality, so you won’t make a mistake whichever you buy. But, there are slight differences which can determine whether you will take this one or the previous item. With this model, I got the feeling that ping pong balls are more comfortable to access and take. Just, the mesh is more comfortable and lose around balls, but it is nothing drastic. The material is sturdy and semi-firm so that it won’t lose its shape after a while. We have another set of 4 paddles and an organizer, but this time, things are a bit different. In contrast to others, I have a feeling that this manufacturer put a bit more effort into making one decent-looking set. The organizer is good, but not amazing. The lack of exquisite materials is apparent, but bear in mind that this set is intended for casual players and beginners. So, if you love to spend time with your family by playing ping pong, this might do the trick for you. When it comes to paddles, they are better than average. With different rubber surfaces on each side of the paddle, those are intended for beginners who have a wish to overcome the basic level of playing. This, of course, justifies the price. The accessibility is the most important thing when it comes to ping pong organizers. Sometimes, those which are hanging at the side of the table can be simply overlooked so that paddles will end up everywhere. To rectify this, I present you this model. Made of steel, it has a beautiful design, and it doesn’t occupy too much space. It is intended to be put on the wall so that you will get two screws intended for this purpose. Since it has metal construction, it will be able to hold six balls and about five paddles, depending on their thickness. If you place it near the exit door, you won’t forget to hang racquet whenever you finish. Also, the price is slightly higher, but once material and looks are taken into consideration, it is not that bad. In fact, you can buy it as a present to a friend. How to Select Ping Pong Paddle? I will be honest, this is an important question, and often people don’t know what to look after. To amend this, here is a short list of the things which must be taken into consideration whenever you are considering to buy a new racquet. If you didn’t know, there are two most common ways to hold a ping pong paddle. They differ regarding gained speed and control, so if you haven’t tried already, do so, to see which your preferred style is. In case that you prefer penhold grip where the paddle is faced downwards, a shorter handle will be required, but if you have a standard one, you will probably be able to use it as well. On the other hand, those who utilize shakehand grip will need either standard length or more extended handles. In any case, always look into this matter. There aren’t many choices when it comes to the material of which the paddle is made. The vast majority of those are made of 7 or 5-layered wood and are considered as standard ones. Of course, there are others which are worth mentioning. Plastic paddles tend to have more “bounce”, since the material doesn’t absorb the force the way the wood does. This can be beneficial for beginners because they will get used to the higher speed of the strike, which can bring the more top speed of the ball later. This is perhaps the most crucial part of the paddle since it makes contact with the ball and dictates how it will travel. This is the layer of sponge inserted between the rubber and wood and can come in different thicknesses. Usually, it is about 2 mm but can go either way. When it is thicker, it results in heavier paddle which delivers more force, and thus the speed is more significant. On the other hand, thinner sponge gives more control. Almost every rubber has “pimples”, as they are known. In some cases, they are the area which hits the ball, while on the other they are “inverted” and this is the side of the rubber which is glued to the wood. When pimples are the hitting surface, you will lose a bit of speed, but you will gain control. In the second case, the speed of the ball will be higher, sacrificing the control. Naturally, the matter of cost is important. Although it depends on your budget, there are some guidelines which need to be followed. It doesn’t mean that the most expensive paddle is the best for you. Instead, opt for a basic and cheaper one for the first few times, and see which precisely suits you. After that, you can aim for those who cost more. What to watch out for when buying a ping pong paddle? When you decide that you need (or want) to buy a new paddle, consider following things. This is a short list of the most critical aspects of every paddle shopping. Nothing beats quality, period. If you have doubts about whether to buy average paddle which is cheaper or above average which will cost a bit more, always opt for latter. Although it is possible that you will find great racquet for cheap, it is more likely that better one will serve longer. By following this rule, you will actually save money in long run. If the handle of the paddle isn’t perfectly fit for your palm, don’t buy it, it is simple as that. This matter is universal more or less, so if you have an average sized hand, almost every paddle will fit you. However, if your hands are bigger or smaller, look carefully into this. Moreover, include the matter of the hold which is mentioned above. Trust is hard to gain, but easy to lose, as they say, because of that, you need to look after who is manufacturing the paddle you are about to buy. Don’t get me wrong, we all know that Stiga ping pong paddles are the top-shelf stuff, but they are not the only one. If you are not familiar with the manufacturer or seller, hop online and do a little research. See what other people have to say regarding the quality of that brand you are about to buy. This will give you a pretty good insight into what you can expect. 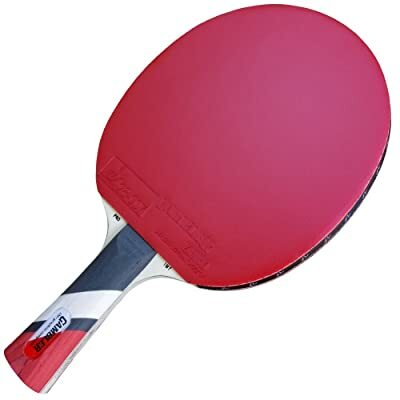 Q: Why there are two colors of rubbers on each side of the paddle? Answer: This is done simply to make things easier for players. They can easily differentiate which side is for which situation. For example, one can generate more speed, while the other has more control. Q: Can I play ping pong with a plain paddle, without the rubber? Answer: Generally speaking, you can, as long as you don’t plan to compete in the tournament. Because of this I always recommend you to start with a standard paddle. Q: How to know if the rubber needs to be replaced? Answer: if you notice that there are signs of damage on whichever side of the paddle, then probably you should replace the rubber. It will impact your performance, so do it as soon as possible. Q: Are there paddles for left and right-handed persons respectively? Answer: No, they are universal. Only look after the handle, specific cuts may be intended for specific hand, but it is rare. Q: Which brands are recommended to buy? Answer: Probably Stiga and Butterfly are the most famous ones, but there are also others which are worthy of attention. Q: Which grip is for me, handshake or penhold? Answer: This is a highly individual thing. There aren’t reliable ways to tell, so you will have to try both. Play a few rounds and see which style makes you feel more comfortable. So, here we are. This is the end of the article, and I hope that I have managed to clear some doubts and answer some questions. As you can see, ping pong is a beautiful game, intended for everyone, and you shouldn’t hold back from trying it if you haven’t already. Since it is possible to play in doubles, this sport is also fantastic for the whole family. The kids can benefit from it, because it boosts and improves eye-hand coordination, and can be a nice hobby or serious career opportunity. There aren’t many investments required, so it is another plus. Furthermore, if you are still uncertain about some things, and you need clarification, feel free to contact me, and I’ll do my best to help you. Read table tennis guide for beginners here .Until then, stay happy and enjoy!